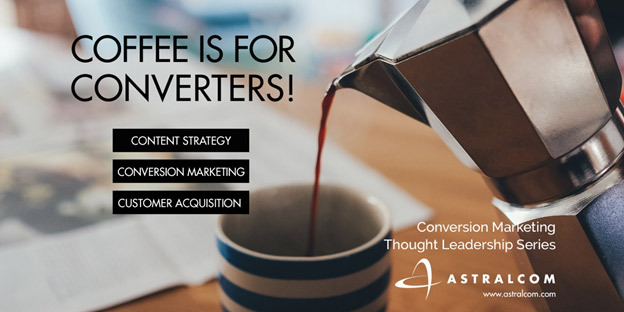 The Mathemagical Customer Conversion Formula; Part 1 | ASTRALCOM - Content Strategy, Conversion Marketing and Customer Acquisition. It all boils down to math, doesn’t it? Credit scores, deep sea drilling, profit margins, space travel, budget figures, golf handicaps, sales goals – what doesn’t amount to mathematics, in the very end? Why, some of the greatest philosophers and mathematicians such as Pythagoras, Plato and Galileo, to name a few, recognized this important truism. Shouldn’t a mathematical formula for converting customers exist, too? There are, in fact, two different (but similar) formulas gaining wide acceptance among cutting edge social intelligence architects, marketers and advertisers. But, before we get to that, we’ll need to break down the messaging experience into its individual components. This will help us to gain a better understanding of how each component fits together and also how they affect one another. To bring someone from prospect status to sold status truly covers a wide range of topics. We’re going to focus on seven specific factors that affect the decision making processes related to turning prospects into buyers. Relevance, value, motivation, friction, anxiety, urgency (or incentive) and distractions. These seven factors are all an inherent part of messaging that ultimately works for, or against you, in your marketing, advertising, sales and customer relationship management efforts. If the equation or formula for converting customers exists, it must take into account the variables of the human psyche. This is largely, still uncharted territory for many scientists and psychologists, let alone marketers and business owners. Can relevance be quantified? How does one measure motivation? How is value determined? Relevance deals with significance and importance in your message. It also deals with the timing of the message being received. Selling ice cream in winter to people allergic to dairy products isn’t very relevant. But selling it, at the beach in summer, to kinds and young adults is more relevant. Motivation is the inspiration or stimulus behind the consumer taking action. Selling a suit to someone who is looking for a suit (motivated) is easier than selling one to someone who isn’t in the market for one. This isn’t to say that motivation can’t be created by the message; it’s just more difficult. Value is determined by worth, price and other factors of importance in consumers’ minds. Framing your value proposition for lowest price, customer service, or biggest selection helps to connect that value with the right consumer segment. These three components; relevance, motivation and value comprise the attraction aspect of messaging and are the most difficult to measure and quantify. They are the combination of both external and internal influencers inherent in messaging and consumers’ minds. Are any of these three components more important than the other? Are motivating factors in consumers’ minds (or the message) more important than the timing, importance, or price of your offer? Todd Miechiels, Internet marketing steward and author of www.sowgro.com says, “It is my opinion that the motivation of the [consumer] is entirely more important than the value proposition. If I’m motivated to find a hot tub online, I may very likely convert on a hot tub site with a very weak value proposition,” says Miechiels. “If, however, I’m not motivated to find a hot tube online, it’s unlikely that the best value proposition in the world is going to help me convert,” he stated. It’s when marketers don’t understand how conversion works that you’ll see duplicitous adverts, oversaturated messaging, non-personalized mailings and marketing efforts in the wrong platforms. These are the typical tactics used when relevance, value and motivation are absent from the strategy and/or the message. Knowing your audience; your customer market and how your product or service fits in, helps form the basis of relevance, motivation and value. While relevance, motivation and value help to create an initially attractive message, this is really only the beginning. In our next issue, we will review the specifics of engaging your consumer audience, gaining their trust and creating rapport effectively. 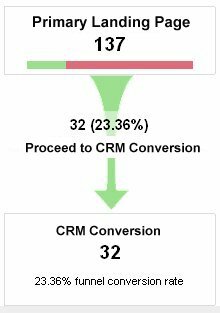 This part of the conversion process depends on how you balance friction, anxiety, urgency and distractions within your messaging and customer experience efforts. Coupled with relevance, motivation and value, as reviewed above, these seven components account for the entire conversion process. This can be represented by one such formula currently gaining popularity among social intelligence architects, marketers and advertisers: C = R x (V + M) – (F + A) + U – D.
Next time, we’ll review the engagement components of conversion and learn how to apply conversion formulas to your messaging and customer experience efforts in order to increase your conversions. If you’re interested in converting consumers across multiple channels more effectively, then you’ll love our whitepaper, “Engineering Consensus – The Syntax of Consumerism” at this link.